It’s absolutely lovely outside. 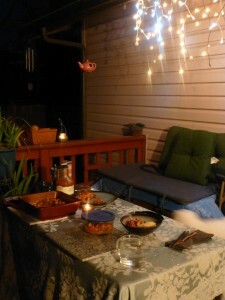 We cooked a nice dinner and I set up the deck with candles and mood lighting. I have tea lights in the garden and great food cooking on the grill. I feel very blessed.